From a 2017 record standpoint, the Seahawks are tied for the fifth-hardest schedule in the sport. From a practical standpoint, things should be about that hard or even tougher. The NFC West is arguably the best division in football. The 49ers and Rams loaded up this offseason on their improving rosters, equipped with rising young quarterbacks who could challenge Wilson as the best in the division. The 49ers looked like a completely revamped team after handing the reins over to Jimmy Garoppolo last season and awarded him with a massive contract based on a limited sample size. Their skill position talent is still a little lacking, but they loaded up enough on defense—including a vengeful Sherman—to be a playoff contender. The Rams had a Madden-esque offseason. They added Sam Shields, Aqib Talib, Ndamukong Suh and Brandin Cooks as part of a clear all-in push to bring a Super Bowl contender to Los Angeles. Sean McVay did wonders during his first year as a head coach, and if Todd Gurley and Jared Goff continue thriving, there’s little reason to bet against the Rams as a repeat division winner. The non-divisional matchups don’t get much easier. The AFC West and NFC North are the NFC West’s common opponents—a pair of divisions with strong teams. No team is particularly Super Bowl-worthy in the AFC West, but all four teams will enter this season with playoff hopes. The NFC North features a reigning conference finalist that added Kirk Cousins (Minnesota Vikings) and the Green Bay Packers, who employ Aaron Rodgers. With the Carolina Panthers and Dallas Cowboys on the slate to round things out, the Seahawks will play three-quarters of their games against teams that think they could be playoff bound. Winning in the division is every team’s top priority, but it’ll be of the utmost importance for these NFC West teams. 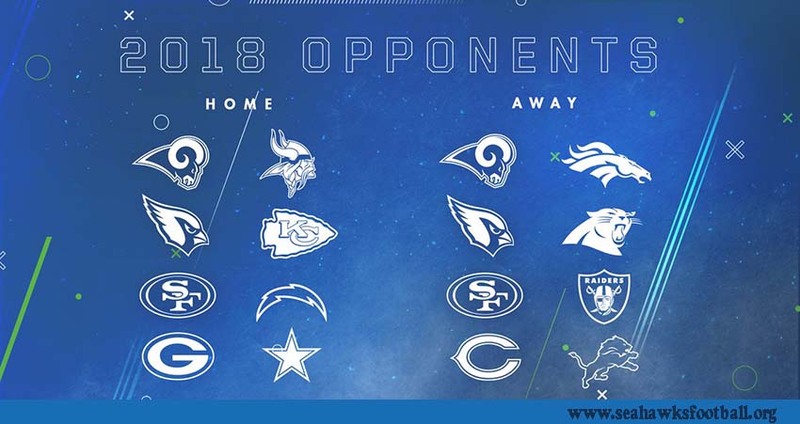 Getting to 10 or 11 wins will probably win the division given the difficult schedule they all face. The Rams and Seahawks are probably going to compete for the division when things are said and done. The 49ers made a nice improvement with Garoppolo but are still a team that looked like one of the worst in football before he took over. A quarterback can make a huge difference, but only so much.